"Moon Dough is a new molding dough that never dries out! It is hypo-allergenic and wheat-free. Moon Dough does not stick to or stain material. Because Moon Dough never dries out, kids can use it again and again. 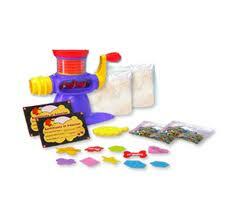 Moon Dough is the latest and greatest new molding compound for kids ages 2-4 to experience and play with." What we thought: The new formula of Moon Dough is fantastic! My kiddos were eager to try this set since we had limited their playtime with the old Moon Dough due to messiness. I think they'll be getting a lot more playtime with this new Moon Dough Set! The molds are easier to use and the dough itself isn't nearly as crumbly. 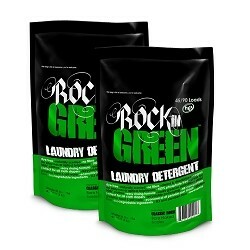 It is still soft and smooth and odor-free, its just easier to use and clean up! We have really been enjoying our set and will definitely be purchasing a few more to use as gifts throughout 2012! ABCD Diaries gives the new Moon Dough Push & Pop Ocean Pals set an A+! "Wuggle Pets are the new must have activity-toy for little ones that is winning the hearts of kids and parents alike. Wuggle Pets is an assortment of eight collectible baby pets that children bring to life with an easy 12-piece starter kit. The kit includes one fun filled factory, a Magical Unicorn and a Cuddle Puppy, two bags of fluffy stuffing, two bags of magic dust, two sheets of personality charms, two birth certificates and a zipper lock. For only $7.99 for each individual kit and $19.99 for the entire Starter Kit, this activity-toy will keep your child captivated for hours and will help them to develop hand-eye coordination skills." What we thought: Both A and D really enjoyed making Wuggle Pets. It was easy enough for them to use with minimal help and and the cuddly creatures they made were really cute! I love this idea because it is a lot cheaper and more hands-on than another type of fill-it-yourself plush we've made. The kiddos love it because it is fun and the end result is adorable! 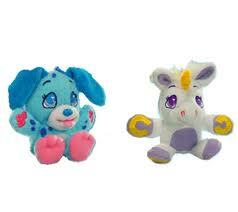 Wuggle Pets would make a great gift this holiday season! ABCD Diaries gives Wuggle Pets an A+! What we thought: These socks rock! They have done a fantastic job keeping my feet cozy and dry during our daily walks to and from school and I know they would perform just as well in a more rigorous and inclement situation like hiking or camping. We spend a lot of time outside, even in the winter months and I know these are going to be great! They are super comfy and even though they are thick, they still fit nicely into my shoes and boots. 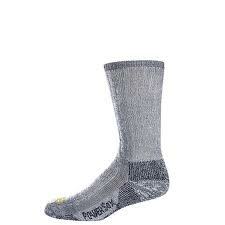 These would be great socks to give as a gift or a stocking stuffer this holiday season...and what a great price! ABCD Diaries gives Gold Toe PowerSox an A+! Buy It: Visit Gold Toe to find out more about these awesome socks! "On our website, CoverYourHair.com , all our products are organized into different categories. Each category of headwear has subsections for different styles and colors. So if you're looking for a Headband or a simple Bandana or even a black bandanna , a Solid Kercheif , or a tied headband it will be very simple to find the exact type of Head covers you want. Headbands are great for woman who wear wigs, or for those who like to wear it on their hair." 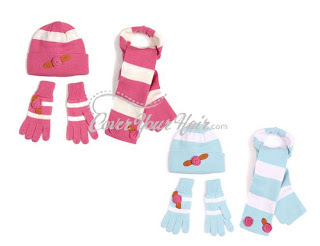 This is an adorable hat and scarf set for girls. It has a had, scarf and gloves. What we thought: This was a really cute set and really well-made. It fit A a little loosely and she is 5, so it would be perfect for probably ages 7-10. She really loves wearing all of her matching accessories though, and these would make a really great Christmas gift or stocking stuffer. Cover Your Hair has a huge variety of cute hair accessories to choose from and there is something for everyone. They have head accessories for all ages and hair types and something to match every outfit:) Not to mention the prices are very affordable! ABCD Diaries gives Cover Your Hair an A+! Buy It: Now that holiday season is in full bloom, http://www.CoverYourHair.com is offering 20% off. Use promo code "blog1231". 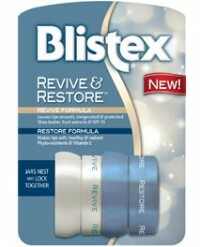 Promo code expires 12/31/11. "These irresistible chocolate seashells are filled with a luxuriously rich & creamy chocolate truffle; the original recipe of Guy & Liliane. Our signature truffle recipe is still made in small-batch copper kettles exclusively by Guylian's Master Chocolatiers in Sint-Niklaas, Belgium." What we thought: The signature mixture of milk, dark and white chocolate that Guylian is famous for adds up to one super creamy, super decadent treat! Seriously this mouthwatering combination is heavenly:) Guylian packages their famous seashell and seahorse chocolates in a variety of gift packs to fit every budget and gifting need. Whether you need a 2 piece box for a stocking stuffer, a 4 piece box for an addition to a gift basket or a full box as a gift they've got you covered. Not to mention they also have chocolate bars! 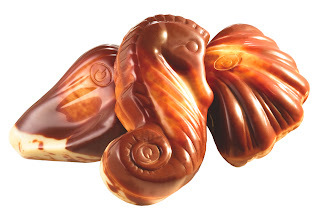 Guylian Belgian Chocolates would make great treats for everyone on your gift list this year:) ABCD Diaries gives Guylian Belgian Chocolates an A+! Buy It: Check out Guylian Belgian Chocolates and sign up for their newsletter to get the latest updates! 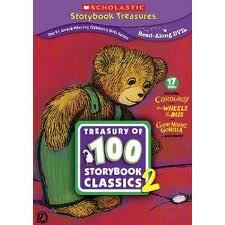 The sequel to the first collection, the SCHOLASTIC TREASURY OF 100 STORYBOOK CLASSICS, VOLUME 2 delivers 100 additional award-winning children’s stories—faithfully adapted and brought to rich life—in this comprehensive 17-DVD collection. From Goodnight Moon to Red Riding Hood, this colossal set features nearly 20 hours of quality entertainment, which together have won more than 115 awards including the prestigious Caldecott Medal and Andrew Carnegie Medal for Excellence in Children’s Video. Packed with celebrity narration from stars such as Zach Braff, Abigail Breslin, Stockard Channing, Mia Farrow, Cyndi Lauper, John Lithgow, and many others, this must-have gift set also features Scholastic’s innovative read-along function that highlights words as they are spoken, supporting early literacy skills. (AVAILABLE NOW: $99.95SRP)"
MY FIRST COLLECTION VOLUME 2 In 2011, Scholastic Storybook Treasures debuted the “My First” series, created specifically to support early literacy skills and a love of reading in the pre- and early reader. 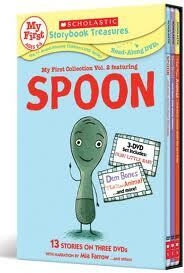 MY FIRST COLLECTION, VOLUME 2 FEATURING SPOON, which features 13 adorable stories across 3 DVDs. Toddlers are sure to be up and dancing with Spoon, welcoming home a new baby in That New Animal, singing along with the classics Dem Bones and The FoxWent Out on a Chilly Night and learning about the importance of family with Mia Farrow’s beautiful narration on I Love You Like Crazy Cakes! (BOTH DVD SETS AVAILABLE NOW, $24.95SRP)"
THE NIGHT BEFORE CHRISTMAS SPECIAL EDITION GIFT SET Celebrate the winter holiday season with family-favorite stories about Christmas, Hanukkah, and Kwanzaa with THE NIGHT BEFORE CHRISTMAS SPECIAL EDITION GIFT SET. The title tale, based on Clement C. Moore’s timeless poem, has been adapted from Ruth Sanderson’s exquisitely illustrated book. With festive music and narration by Anthony Edwards, this version is sure to warm the cockles of any grinch’s heart! Among the 11 additional colorfully animated stories found on this 2-DVD gift set—narrated by celebrities such as Jane Curtin and Christopher Lloyd—are: In the Month of Kislev (adapted from a story by Nina Jaffe and narrated by Theodore Bikel), Seven Candles for Kwanzaa, (adapted from a story by Andrea Davis Pinkney and Brian Pinkney, narrated by Alfre Woodard), Too Many Tamales (presented both in English and Spanish), and four bonus stories featuring Ezra Jack Keats’ The Little Drummer Boy, Sam and the Lucky Money, and two Rosemary Wells classics, Max’s Christmas and Morris’ Disappearing Bag. (AVAILABLE NOW, $19.95SRP)"
What we thought: Scholastic Storybook Treasures DVDs bring some of the best books and characters to life. The kids are really enjoying watching these movies! I love how Scholastic groups the movies together by theme. A has actually taken a few few to school to share with her class and her teacher said all the kids really loved watching them! 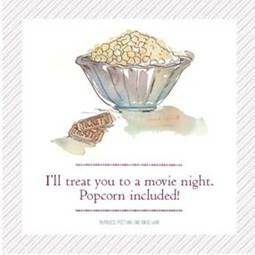 These DVD collections are fantastic and would make wonderful gifts this holiday season. 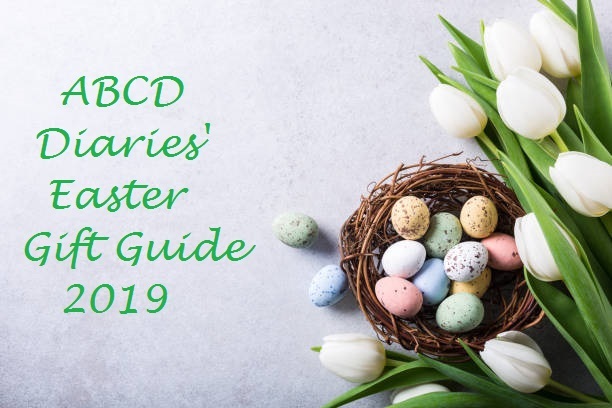 Since so many of these books are award winners, it is safe to say these collections can be considered quality children's entertainment:) ABCD Diaries gives Scholastic Storybook Treasures DVD Collections an A+! Buy It: Find out more about Scholastic Storybook Treasures! 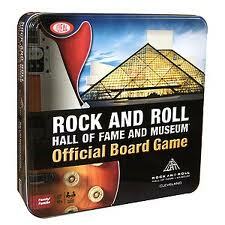 "Energetic music and fun games build excitement about learning to read. 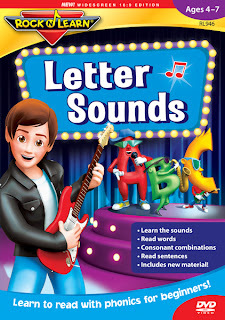 Letter Sounds covers the most common sound that each letter makes. The completely new Letter Sounds DVD with its "on-screen mouth" shows how to form each sound. Letter Sounds CD comes with a full-color illustrated book. By the end of these programs, students are combining letters to read words and even simple sentences. Ages 4–7." What we thought: Both A and D loved this DVD. It was fun and educational like all of the DVDs from Rock N Learn:) This series of DVDs is really great for getting kids excited about learning. They introduce new concepts through entertaining and colorful characters and it really works to grab the child's attention. The Letter Sounds DVD would be great for beginning readers. D is only 3, but after watching this DVD he is already starting to recognize letter sounds and matching them to their letters! Pretty impressive:) ABCD Diaries gives Rock N Learn DVDs an A+! "This Christmas, follow everyone’s favorite elephant in BABAR AND FATHER CHRISTMAS, a beloved holiday classic never before available on DVD. In this delightful, fully animated holiday tale – digitally remastered and restored for the best viewing experience yet, Babar's children, Arthur, Pom, Flora and Alexander write a letter to Father Christmas asking him to visit Celesteville for the holidays. But their letter never arrives because it is stolen by Babar's arch-enemy, Rataxes the Rhinoceros, who wants all of Santa's toys for himself! When Babar sees his children so disappointed, he decides to make a journey in search of Father Christmas. Secretly followed by Rataxes, Babar’s adventure takes home viewers from Paris all the way to the North Pole, to the very toy shop of Father Christmas himself! Can Babar save Christmas for Celesteville? 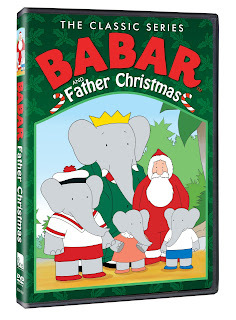 Watch and find out in BABAR AND FATHER CHRISTMAS, a soon-to-be treasured part of every family’s home entertainment library! Special bonuses on this DVD include two special episodes, “A Child in the Snow” and “The Gift” highlighting core family values and a bonus coloring book." 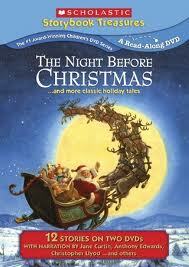 What we thought: The kiddos really enjoyed this DVD featuring some really cute holiday tales. The great thing about Babar is that each episode teaches an important lesson. 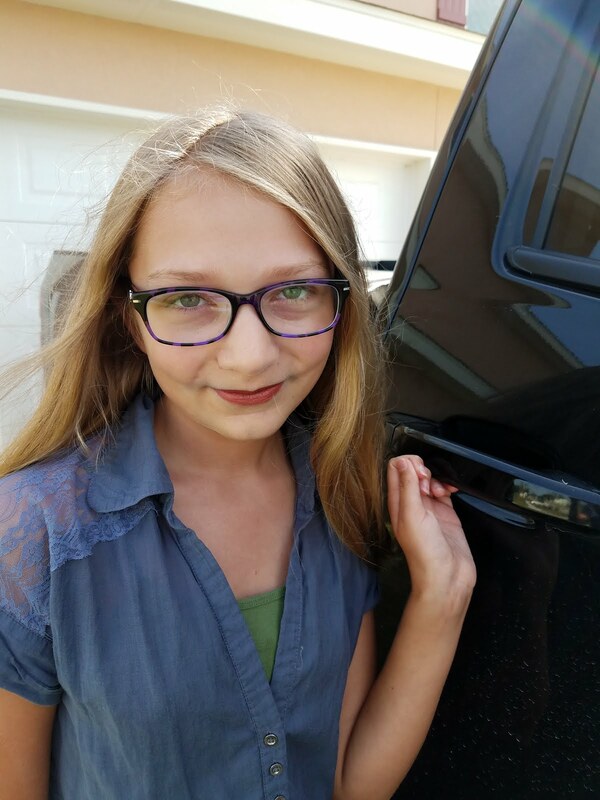 The lessons usually teach important family values like kindness, acceptance and forgiveness. This DVD would be great to help remind your little ones what Christmas is all about giving AND receiving:) ABCD Diaries gives Babar and Father Christmas an A+! "The name alone inspires countless theater memories. For almost 90 years, Red Vines® has been bringing entertainment and enjoyment to the young and young at heart. Deeply rooted in the traditions of the American West, Red Vines® is the premium quality licorice. It continues its old-world licorice making practices starting with the same tried and true ingredients from its original recipe. Red Vines® is the only major brand still making twists with respect for tradition. The result is a distinctive, rich taste; soft, chewy texture; and desirable appearance, setting it apart from other chewy confections. In fact, Red Vines® candy is the number one non-chocolate convection in the West, where “licorice” means Red Vines®." What we thought: Red Vines licorice rocks! We are huge fans of the "red" Red Vines but with this review we also got to sample Grape Vines and black Red Vines...who knew they came in other flavors?! Not me:) I am so glad we found out though because they were pretty tasty, especially the grape flavor! We pretty much inhaled our licorice samples, they were THAT good:) What we love best about Red Vines(other than the taste, obviously:) is that they are hollow. You know what that means...you can bite off either end and use them as straws! The kiddos really got a kick out of that:) Also, Red Vines are FAT FREE!! And that is fantastic news for my waistline! Red Vines licorice would make really great stocking stuffers for the licorice lovers on your holiday gift list. ABCD Diaries gives Red Vines an A+! Buy It: Find out more about this delicious line of licorice treats at Red Vines! 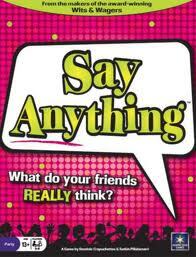 "From the makers of the award-winning Wits and Wagers comes the next great party game - *Say Anything*. Say Anything is a light-hearted game about what you and your friends think. It gives you the chance to settle questions that have been hotly debated for centuries. For instance, “What’s the best movie of all time?” or “If I could have a BIG anything, what would it be?” So dig deep into your heart or just come up with something witty – this is your chance to Say Anything. Say Anything combines the best elements of Wits and Wagers and Apples to Apples. 2) Everyone else writes an answer and turns it face-up. 3) Secretly choose your favorite of these answers. Then everyone tries to guess which one you picked. Play *Say Anything* - and find out what your friends really think. Ages: teens and adults. Players: 3 – 8. Teach time: 2 minutes. Play time: 35 minutes." What we thought: This was a super fun game! It really livened up our Christmas gathering last weekend:) This is definitely a game for adults since the answers can kinda go "there" if you know what I mean! That just makes the game even more hilarious though! Say Anything will definitely be at the top of the rotation for our regular game nights. 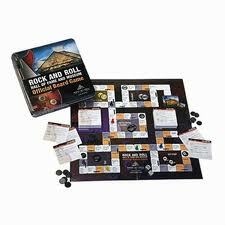 This game kept us laughing all night long and we can't wait to play it again next time:) This would be a great gift this holiday season and could make for some really memorable Christmas and New Year's gatherings! ABCD Diaries gives Say Anything an A+! Buy It: Say Anything can be bought at - Target, Toys-r-Us, Meijer, Barnes & Noble, and Go the Game Store. Check the retail locator to find Say Anything near you! "Allens vegetables is featuring boiled peanuts in two varieties--Green Boiled and Green Boiled Cajun. Allens is the leader in canned and frozen vegetables, producing brands including Popeye’s Spinach, Freshlike, Veg-All and of course their Allens brand. 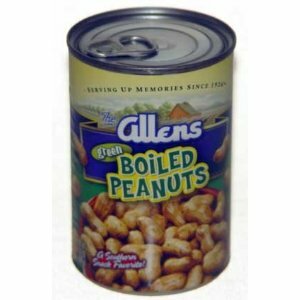 Allens Boiled Peanuts are so delicious and flavorful, you’d think you cooked ‘em all day long. Boiled Peanuts are a easy, healthy and family friendly snack, perfect for school lunchboxes or tailgating parties. More importantly, Boiled Peanuts offer a surprising amount of nutritional value. Boiled in shell, one cup provides 12 grams of healthy fats, 8.5 grams of protein and a significant amount of Vitamin E, an important dietary antioxidant." 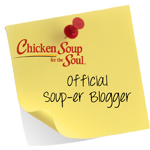 What we thought: If you are from the South, you've probably had boiled peanuts before, if not you are missing out! I was really surprised how good these tasted! I guess I shouldn't have been because we've always been impressed with Allens canned and frozen veggies and their ability to get that yummy authentic southern flavor into their side dishes. But the idea of boiled peanuts in a can made me a little wary. Fear not though! Once again Allens has hit the nail on the head and offers up a delicious southern delicacy in their boiled peanuts, both original and Cajun style! ABCD Diaries gives Allens canned veggies an A+! "Get on board the Dinosaur Train with Buddy, an adorable dinosaur, and his adoptive Pteranodon family as they embark on nine whimsical voyages in the DINOSAUR TRAIN: T-REX TALES DVD available from PBS Home Video and Paramount Home Entertainment. In these special adventures, Buddy travels to Rexville, home of the Tyrannosaurus Rex dinosaurs, and learns that he too is a Tyrannosaurus! When the Pteranodon family travels back to the North Pole in “Don’s Winter Wish,” Don declares that it’s his “winter wish” to see snow fall again. When a big blizzard comes, and even the Dinosaur Train gets snowed in, Don worries that his wish brought the blizzard. He’s especially worried for his new friend, Soren Sauronitholestes, who is sitting on a nest of her eggs, out in the blizzard. But everything turns out all right: Dad explains that wishing forsomething doesn’t make it happen, and the well-adapted, warm-blooded,feather-covered Soren successfully hatches her babies. In “Festival of Lights,” the Conductor, while visiting the North Pole, suggests that the family stop off at Aurora Borealis Station on an enormous frozen lake to see the Aurora Borealis, where the Northern Troodons celebrate a “Festival of Lights.” While the kids wait for night to fall and view the Aurora Borealis, they work up an ice-skating show to entertain Mom and Dad. Everyone joins in to sing “Solstice Time is Here” and skate under the lights! 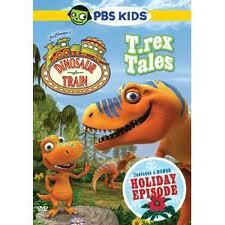 What we thought: As always the kiddos really enjoyed this Dinosaur Train DVD! We love Buddy and the rest of the crew because they make it fun to learn about dinosaurs. This DVD is very informative and entertaining and the holiday episode is particularly cute:) If you have a dino lover, this DVD could make a really great stocking stuffer! ABCD Diaries gives T.rex Tales and A+! 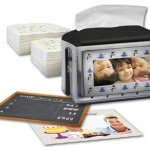 "The new Easy-to-Care Cool Moisture Humidifier makes filling, cleaning and use, easy. 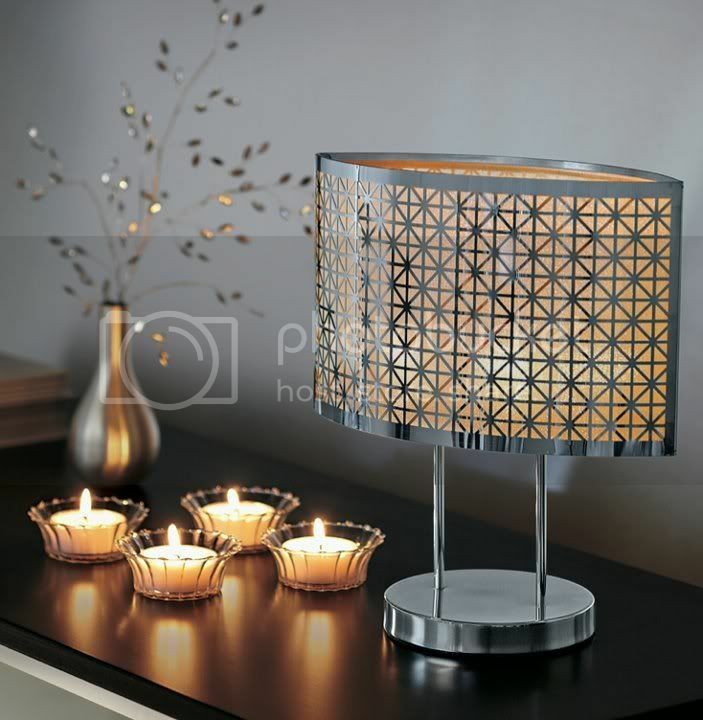 Soothing , invisible moisture for better room comfort. What we thought: This really was the easiest humidifier I've ever used and its sleek design blends style and functionality quite well:) It works really well...I love that it runs up to 36 hours per filling! Even here on the Texas coast where we usually have a ton of humidity, we like to use a humidifier during the winter months. 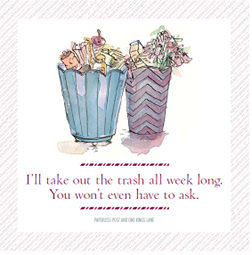 Especially when one of the kiddos are sick. We used this humidifier last week when A had a cold and noticed a lot less coughing during the night when we ran this humidifier. That meant more restful sleep for her AND for us:) This humidifier is a super simple and super awesome addition to our medicine cabinet:) ABCD Diaries gives the Honeywell Easy-to-Care Cool Mist Humidifier an A+! 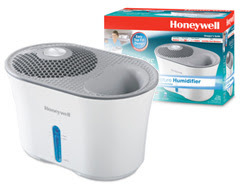 Buy It: Visit Honeywell to find out more about the Easy-to-Care Cool Mist Humidifier and more awesome products! "Welcome to the kingdom—Peaceable Kingdom! Where dinosaurs roam and a mermaid princess swims, where a child can host a fairy tea party or sail the open seas on a pirate ship. A place of imagination and exploration and fun! Since 1983, Peaceable Kingdom has created fresh, fun products for kids that educate, inspire and tickle funny bones. 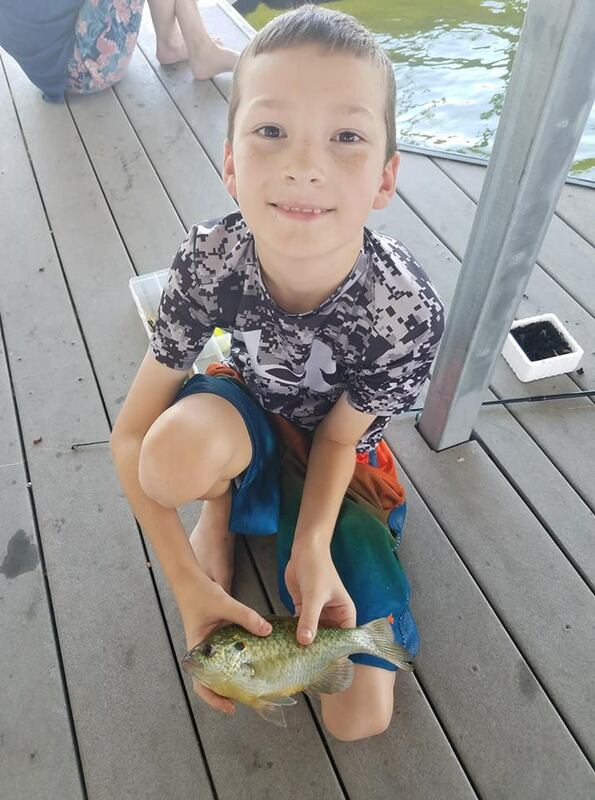 Connect with the kids in your life with Peaceable Kingdom. A spin-and-move counting game perfect for first time game players. A color-coded matching game that can be played at different levels"
What we thought: I absolutely love the idea of cooperative games. These are great first games for kiddos that show you don't have to have competition to have fun! I believe a healthy amount of competition is important to teach children, but I also think its important to show them that you can win by working together as well:) Count Your Chickens and Hoot Owl Hoot are both games that do just that while also teaching important skills like colors and counting. 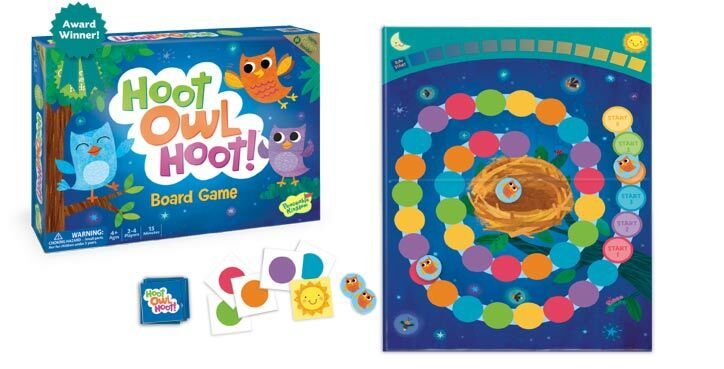 They are both easy to learn and fun to play for even the littlest gamers(I'd say3+) I really like that Hoot Owl Hoot can be played at different levels which makes it a game that can be played for years to come...what a value! 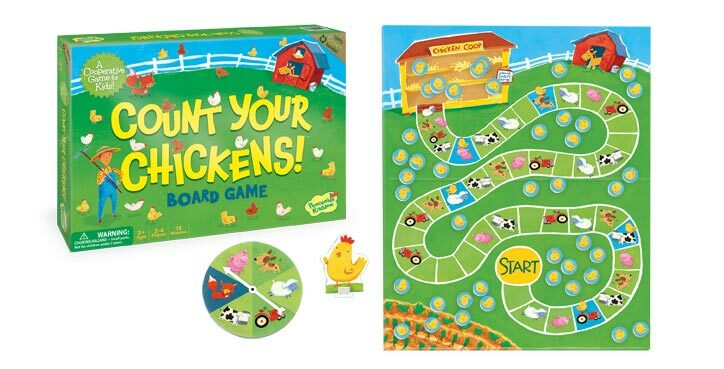 The kiddos really enjoyed both of these games and ask to play them quite often:) The games from Peaceable Kingdom would make really great gifts for your little ones this holiday season! ABCD Diaries gives Peaceable Kingdom an A+! Buy It: Visit Peaceable Kingdom to find out more about these and other great games! 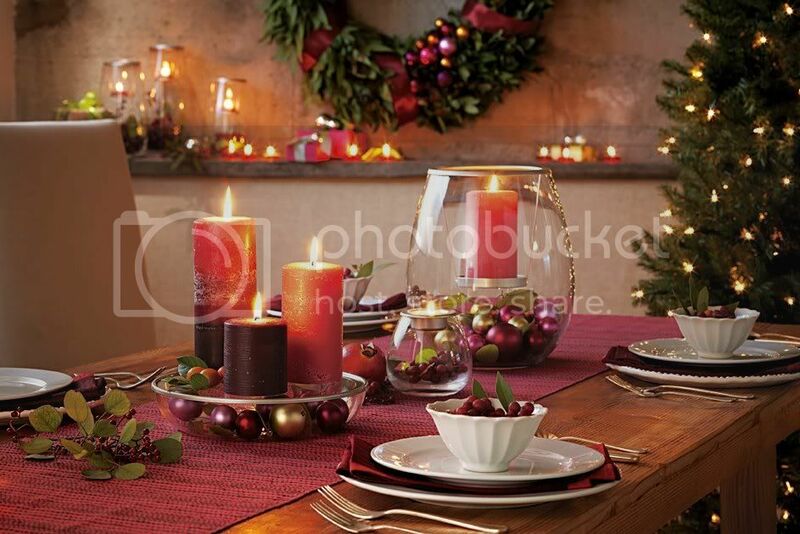 "This holiday season, you don’t have to spend a lot, to say a lot. 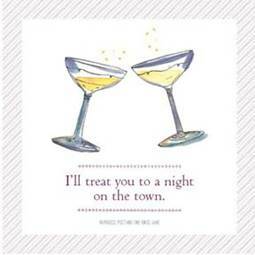 Keeping with the holiday spirit of giving, One Kings Lane – the leading flash sale site for the home market – is offering its members free holiday e-cards, with a brand new promotion called Thoughtful Gestures. 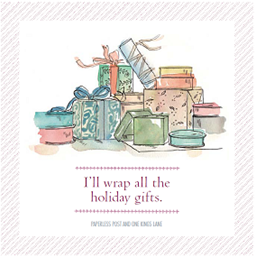 Launching tomorrow- Friday, December 9 –in partnership with Paperless Post, One Kings Lane is helping you spread the holiday cheer with specially designed e-cards to send to friends and family. 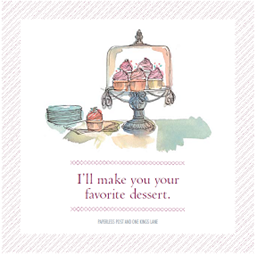 The perfect gift for kids, parents, friends and more, a Thoughtful Gestures e-card is the simple and fun way to show someone you care. 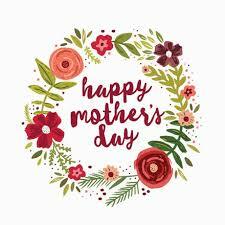 Whether you’re offer is to walk the dog, babysit the kids, or make dinner, Thoughtful Gestures will deliver the news for free, through a custom message on a beautifully designed virtual card." Disclosure: We were in no way compensated for this post. The opinions expressed within are ours and ours alone. 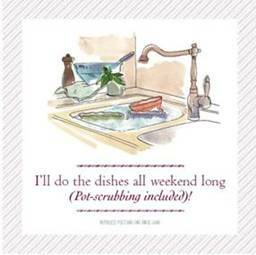 "Preparing your home for houseguests involves a blizzard of activities. We want to make life a little easier and more fun with the customizable Tork Xpressnap® Napkin and Xpress Hand Towel dispensers. 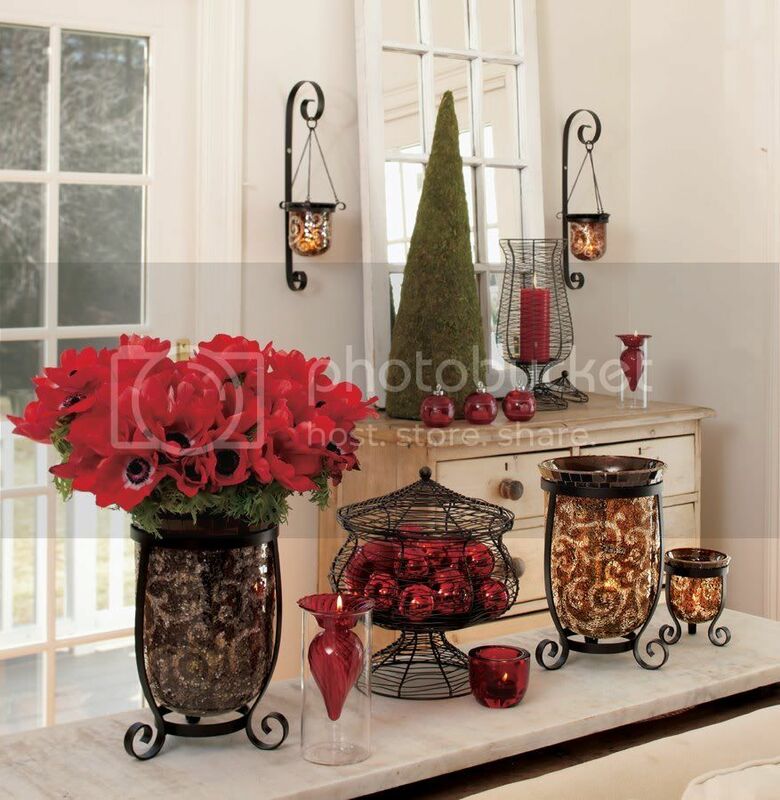 These new products bring added style, hygiene and efficiency to your kitchen, dining area or bathroom all season long. Best of all, the one-at-a-time dispensers let you keep an eye on your household budget by avoiding waste, while reducing the spread of germs. 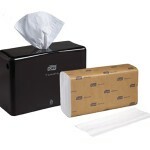 • Choose from the black or white options"
What we thought: Generally when I think about the products I've seen the Tork name on, I think of their more commercial stuff like dispensers in public bathrooms and schools. I am so glad to know that Tork has a line for the everyday home! The hand towel dispenser is sleek and looks great in both the kitchen and the bathroom, the two places we need it the most. The napkin dispenser looks like something you'd see on a restaurant table, but I love how you can personalize it with a photo or picture of your own and make it look less commercial. The Tork napkins fit perfectly in both dispensers and both are super easy to fill and to use...even the kiddos can do it! These are great for holiday entertaining because they showcase your napkins and hand towels in a stylish, but functional way:) ABCD Diaries gives the Tork Napkin and Hand Towel Dispensers an A+! "Donna Britt has always been surrounded by men-her father, three brothers, two husbands, three sons, countless friends. She learned to give to them at an early age. But after her beloved brother Darrell's senseless killing by police 30 years ago, she began giving more, unconsciously seeking to help other men the way she couldn't help Darrell. BROTHERS (AND ME) navigates Britt's life through her relationships with men-resulting in a tender, funny and heartbreaking exploration of universal issues of gender and race. It asks: Why, for so long, did Britt-like millions of seemingly self-aware women-rarely put herself first? With attuned storytelling and hard-wrought introspection, Britt finds that even the sharpest woman may need reminding that giving to others requires giving to oneself." What we thought: This was a really touching and heartbreaking story. It is really well-written and thought-provoking. A beautiful and intriguing story that teaches a valuable lesson along the way. ABCD Diaries gives Brothers and Me an A+! These leggings will be the most comfortable item in your wardrobe! Soft stretch cotton denim. 1" waistband, faux zipper and front pocket. Real back pockets. 29" Inseam. Available in black and navy denim." What we thought: These were really cute, but like all leggings, skin tight. I probably wouldn't wear them with a shirt that didn't cover my backside, but I lean to the modest side of style...I'm not in my twenties anymore:) These would be really cute under a sweater dress or a long sweater and they look great with boots! I love that they have actual back pockets...I'd be lost without them since I don't carry a purse. Overall, I was pretty impressed with the new leggings from No Nonsense...they really are a fantastic brand and its good to see them growing the range of products they offer:) ABCD Diaries gives No Nonsense leggings an A! Buy It: Find No Nonsense leggings online or at a mass merchandiser near you. "The Bird Watcher Field Kit comes with everything you need for bird watching in the field. in this complete kit you get a pair of 5 x 30 power binoculars with 2.5” lens shades, a lightweight tripod that can be tabletop or handheld, plus three different bird callers (Reed, Whistle and Chirp) for attracting every kind of bird. From Loons to Hawks, Geese to Ducks, and just about every backyard song bird. Comes with collectible Bird Watcher iron-on patch and Pop-Up field guide with in-the-field missions and two large ‘pop-up’ pages illustrating dozens of birds helping you to identify specimens in the field." What we thought: Both kiddos loved this kit! It comes with kid-friendly binoculars that were reviewed by 3 year old D and deemed to be what we like to call "kid-tough":) The bird calls were a lot of fun. This is a really cool kit to teach your kids about different kinds of birds and bird habitats their migrating patterns and helps to encourage awareness about our environment:) If you have a little adventurer, this kit from Backyard Safari would make a great gift! 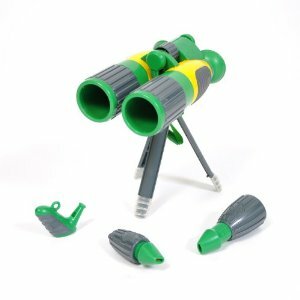 ABCD DIaries gives the Backyard Safari Bird Watching kit an A+! "Bringing the job site to you with motorized Cat machines. Each machine features classic Cat styles with working lights, construction tunes, and foreman vocals, as well as motorized driving and other machine features. Shipping Port-themed ‘Build & Play’ playset. 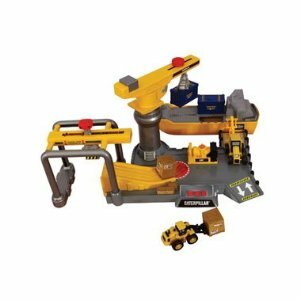 The set includes 1 free-wheeling Cat machine, working gantry and container cranes, and a freight ship. 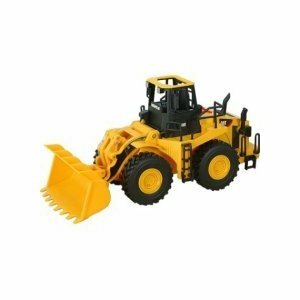 Construction site sound effects, music and fun vocal phrases also included." What we thought: Christmas came early for D with these two CAT toys:) He is 3 and is very much into construction equipment and building things so these were perfect for his age and interests. They were easy to use and noisy(which is a good thing when you're a 3 year old boy!) and REALLY fun! They have lights and sounds so they do require batteries, but we have grown accustomed to most of his toys needing batteries and its worth it to see the excitement on his face every time he plays with these toys:) If you have a boy who loves construction vehicles, these CAT toys are sure to bring him lots of enjoyment:) ABCD Diaries gives CAT trucks and play sets an A+!